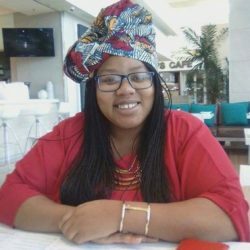 With so much conflicting advice on how to look after your baby’s skin, it can be difficult to separate fact from fiction. We bust a few myths to help you take better care of your little one’s skin. Myth 1: You should look after your baby’s skin to keep it looking good. Fact: Looking after your baby’s skin is essential for their general health – it’s not just about appearances. Your baby’s skin is the first defence against the outside world, and acts as a shield against germs and diseases. If it becomes dry, this protective barrier is damaged, and germs and irritants may enter. 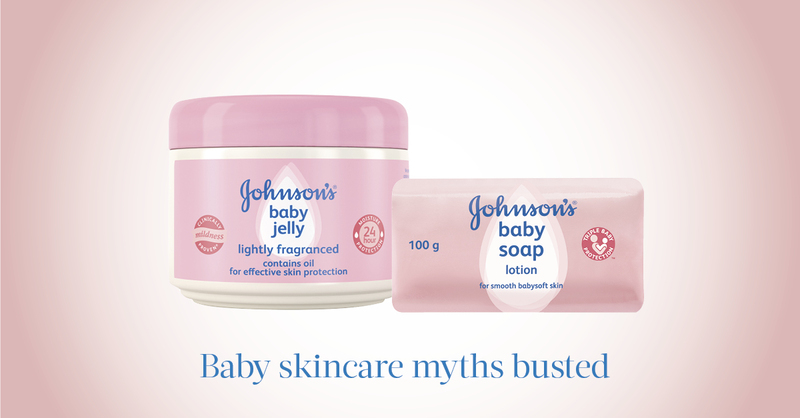 Myth 2: A newborn baby’s skin is soft and perfect, so it doesn’t need to be moisturised. Fact: While a baby’s skin is soft, it is also very delicate. Their skin, which is prone to dryness, has less natural oil than adult skin and loses moisture up to five times faster. Try: Moisturising baby’s skin with Johnson’s® Baby Jelly will prevent dryness and help to keep their skin healthy. Myth 3: Unless your baby has sensitive skin or eczema, it’s not necessary to use baby products. Fact: It is a bad idea to use adult soaps and creams on your baby because their skin is still delicate. Many adult soaps and creams are too harsh for their skin, and also have strong fragrances and ingredients. Therefore, they can irritate your baby’s skin. 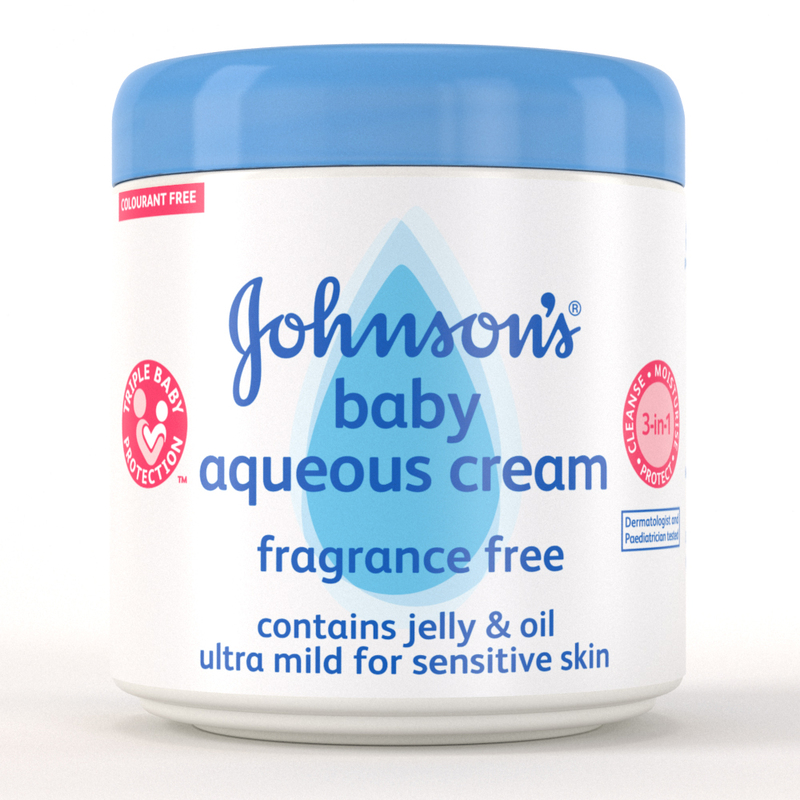 Try: Use Johnson’s® Baby products, such as Johnson’s Baby Aqueous Cream, as they are specially formulated for baby’s delicate skin. Myth 4: Adding antiseptic liquid to the bath water will kill germs and keep your baby healthy. Fact: Antiseptic liquids are not designed for use on baby skin, and may cause a reaction. Rather use a mild, non-drying baby soap or wash that has been specially formulated for baby skin. Try: Johnson’s® Baby has various baby soaps and washes available that gently cleanse. Myth 5: The main reason for using baby powder is to make your baby smell good. Fact: Baby powder smells good, but also has real benefits for your baby’s skin. It helps to absorb unwanted moisture that gathers in the skin folds, and reduces friction and scratchiness between clothes and skin. Try: Johnson’s® Baby’s Baby Powder not only has a delightful fresh fragrance, it also absorbs excess moisture and reduces chafing. Myth 6: A cloth dampened with warm water is enough to cleanse the nappy area. Fact: While a damp cloth will clean the surface of the skin, it won’t remove all the unseen waste residue. Also, it can be rough on the skin while water may dry it out. Rather use a gentle pH balanced baby wipe designed for delicate skin. 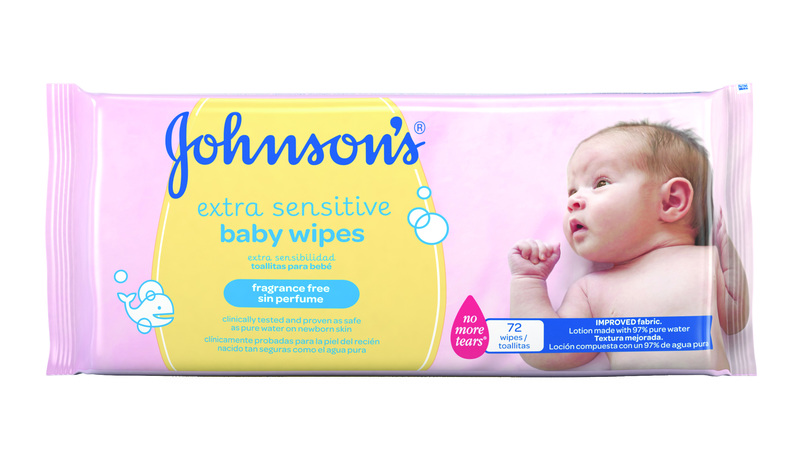 Try: Johnson’s® Baby Wipes contain lotion and 97% pure water – delicate on the skin and thorough on cleaning! 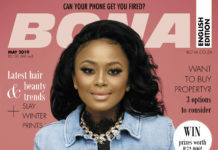 Previous articleThe Consol Red Hot Sale!